People who often move know how tiring and time-consuming this can be. Moving and packing are jobs for which you truly need to be patient, systematic and to know how to approach them. If things are done properly, you will finish with it much faster than if you’re completely clueless. If this is your case, then hiring a trustful professional moving company would be just a thing for you. 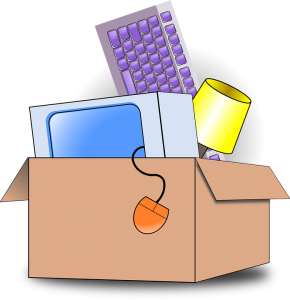 Moreover, if your relocation includes packing fragile items, it’s necessary to know what to do. Again, if you can’t do it, or you’re not sure you have the right skills, leave it to those who are. 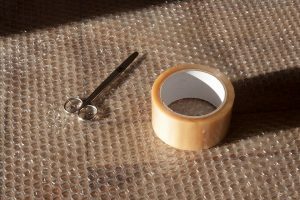 Although it may seem nearly impossible, you can actually pack all of your breakable belongings and transfer them safely. Most people begin with packing things from the kitchen as the most of these items are found here. Luckily, there are many tips on how to pack and move the kitchen the best way. These guarantee you easier packing fragile items as well, especially items such as glasses – drinking and wine, as well as ceramic dishes. This is going to be a task that will take a lot of your time. If you intend on packing and transporting the most or all of your kitchenware, make sure to leave enough time for it. Also, make sure to get enough packing supplies. You’ll need sheets of old newspapers, magazines, bubble wrap and packing boxes. Once you acquire all of the material, start wrapping the plates and glasses individually and place them carefully in boxes. The bottom of the boxes should be filled with either crumpled paper or some other soft material. The plates should be laid vertically. Remember to fill any empty space with a packing foam or crumpled packing paper, but do not overfill the box. Furthermore, don’t forget to secure the box. Seal it properly, put a ‘Fragile’ label on it so that you would know what is inside. If you’re using the services of a moving company, seeing the labels will help them when loading the moving truck. This is why it is important to know how to label the moving boxes properly. In case you need pointing out any additional information, do it in time so that they would know what to pay attention to. This will also ensure a better quality of their service and you’ll be more satisfied with the outcome. Even though it’s sometimes smarter to move items into storage, there are some we just can’t leave behind. If those are lamps, pictures, and frames we are talking about, then try to pack them in such a way that they will ‘survive’ the transportation. You’ll do this by knowing they these items require double wrapping. Get at least two boxes for the lamps. One box is for the lampshade, and the other for its base. However, it can be challenging to find appropriate sizes of boxes. Ask around in local supermarkets or borrow some from people you know. If the base is too big for every box you’ve found, then you’ll just have to secure it additionally. Take another box, and place the picture frames in them. How many frames you’ll put inside the box, depends on the number of frames you have, their sizes, as well as the sizes of your boxes. That is why it is advisable to get as many boxes in different dimensions as possible to ensure better packing. A packing paper should also be placed on top of the box so that the content won’t be moving inside. This could result in their damaging, and if the frames are valuable or they came as a gift, then you’ll have a hard time replacing them. The same problem with large lamp bases can occur with large picture frames. The picture frames bigger than any box you found could be secured by wrapping them in moving blankets. Remember to move them separately so that you can handle them easier. In order to save money, approach each of these packings with absolute care to avoid any damaging. Most of these fragile items are difficult to restore to the previous state. Take this thought with you the next time you’re about to move. These actually fall under the category of less complicated items to pack. That is, they are easy to pack if you still have their original packages. They are made to perfectly fit the sizes of the gadgets, TV and computer screens. So you don’t need to worry much. Apply double wrapping if you don’t have the original packages anymore. This should be good enough for transporting them safely. However, be careful when unloading moving truck to avoid breaking any of the carefully loaded items. If you’re still concerned about this, then inform yourself about how to pack electronic devices the right way. 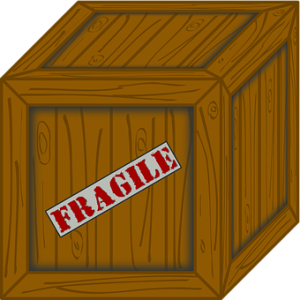 To sum it all up, there are numerous things to pay attention to when packing fragile items. What you need to pay attention to is that packing such items takes time. If you’re doing everything in a rush you risk damaging or breaking them completely. The next thing to have in mind is that you’ll need to have appropriate packing supplies such as packing papers, blankets, bubble wraps, etc. Make sure to have plenty of those as well as boxes to store the items. Once you have all of these you’re ready to start wrapping.